The Vancouver Holocaust Education Centre, with generous support from the Conference on Jewish Material Claims Against Germany, offers a range of services to benefit local Holocaust survivors. An opportunity for survivors to meet with other survivors and discuss a variety of topics of common interest such as aging, health issues, relationships, reparations, family and Judaism. Refreshments are served. Child Survivors and Hidden Children meet monthly to discuss their shared experiences. They produce the “No Longer Alone” page in the VHEC magazine and hold special events throughout the year. The experiences of children of Holocaust survivors are shared among peers in the Second Generation Group. The VHEC provides current information on a variety of restitution and compensation funds. Survivors can receive assistance in filling out restitution and compensation claim forms. These forms may be used to apply for compensation including pensions and one-time payments and social welfare services. from the Claims Conference website. Jewish Family Services provides assistance to eligible Holocaust survivors. 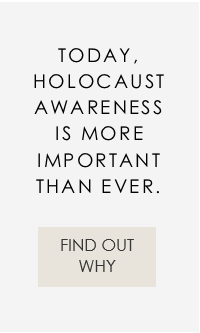 Funded by the Conference on Jewish Material Claims Against Germany, there are a variety of supports available for those survivors who meet strict income guidelines. For more information, contact JFS Seniors Services at 604.257.5151.